On Thursday 18th, our reporter Beth Girdler- Maslen went along to The Dead Canary to try their tasting menu, honouring Xeco sherry for International Sherry Week. I was kindly invited to the Dead Canary to sample their sherry picks and their specialised cocktails. I’ve been to the Dead Canary before and it is one of my favourite cocktail places so I jumped at the chance to go again. 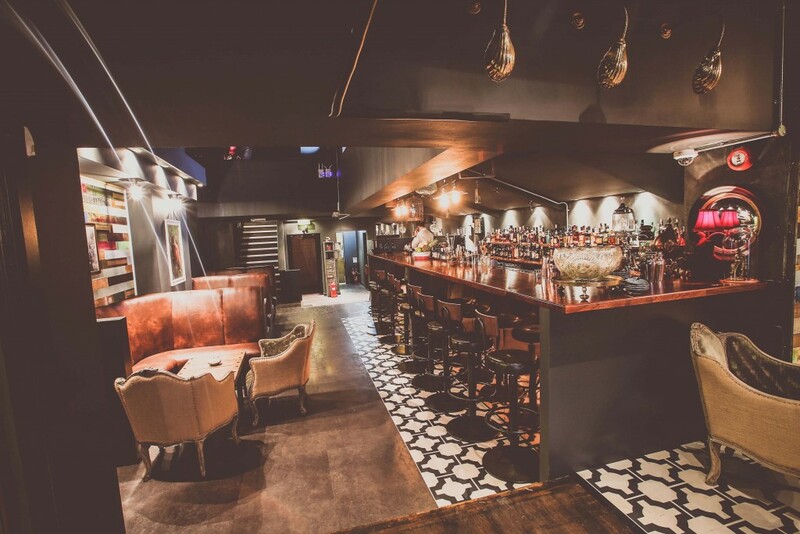 The Dead Canary is known as Cardiff’s ‘speak-easy’ bar with a mysterious outside and a cosy and exciting inside. The inside is full of beautiful lights and hidden away booths and seats, with a massive and impressively stocked bar. There are many instruments to make cocktails with on display, which look more like surgical items than something involved in making a drink. We were greeted by such friendly staff and sat down with a full view of the bar, which was entertaining to see the drinks being made. We started with sampling the two sherries that they were displaying. The first was the Xeco fino sherry. As someone who has only tried sweet sherry before, it was quite a difference. It tasted very dry, savoury and a little bit like olives. The second was the oloroso sherry which was again quite dry, like the fino. It was deeper in flavour than the first and a lot fresher. Next, we tried the designed cocktails from the Dead Canary using the fino and oloroso sherries. The first cocktail was a take on a classic Martini, substituting the gin for the sherry. As a Martini is quite strong as it is, with the dry sherry, it made the cocktail more intense. It’s a good drink for those who like a strong and very alcoholic tasting cocktail but for those who like sweeter flavours, like me, the second sherry cocktail is definitely a winner. This cocktail was a lot sweeter, with coffee and orange flavours and was extremely more-ish. It was interesting to try types of sherry that I wasn’t used to. I was very surprised tasting the two sherries and having them taste completely different to what I had originally expected and tried before. The Dead Canary is an amazing establishment and an impressive cocktail experience. After the tasting, we ended up having another cocktail there and the bartenders and waiting staff are the friendliest people. They have such a vast knowledge about drinks and are more than happy to explain anything to you. I would highly recommend the Dead Canary for any kind of event or even just a quiet Thursday night!